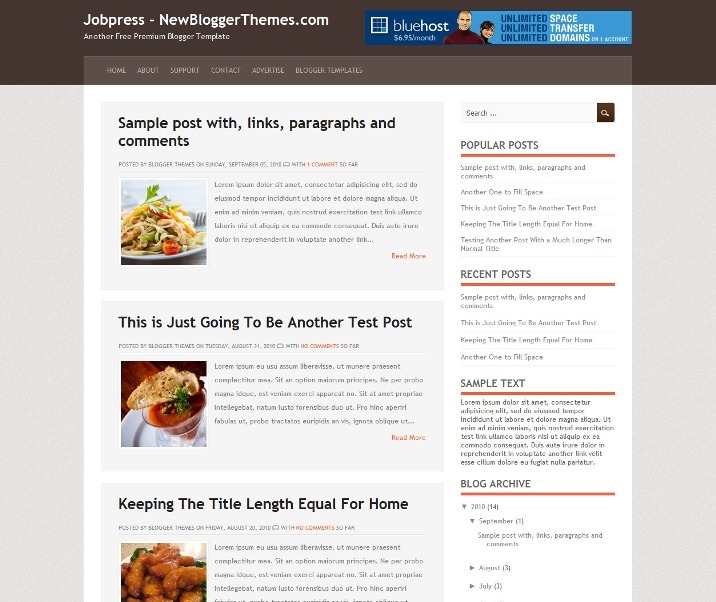 Jobpress is a free blogger template. This template is perfect for Magazine, Blogging and Technology. 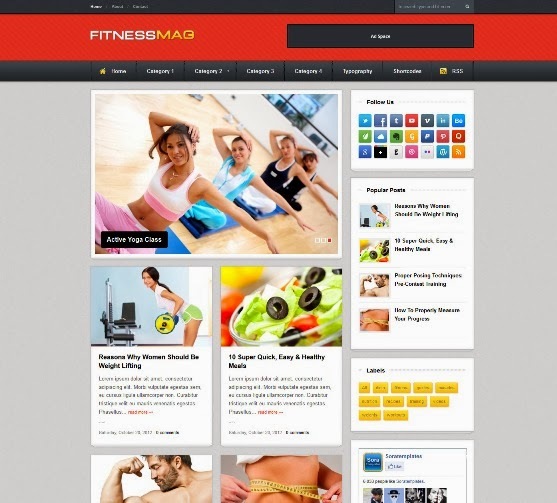 FitnessMag is a free blogger template for Gym & Fitness. Template features : WordPress Look, 3 Columns, Right Sidebar, Magazine, Featured Content Slider, Fixed Width, Gray Background, Social Widget, Dropdown Menu, Header Banner, Page Navigation Widget. 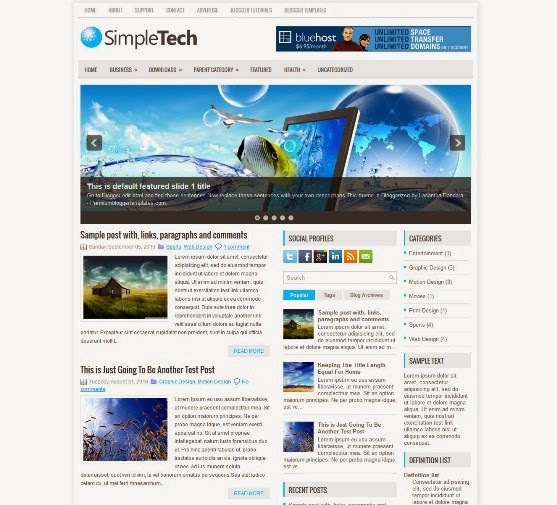 SimpleTech has 2 Sidebar, 3 Column, 3 Column footer, Adapted from WordPress, Blue, Elegant, Featured Section, Fixed width, Fresh, Grey, Header Banner, Magazine, Premium, Right Sidebar, Slider, Tabbed widget, Top Navigation Bar, Web 2.0, White. 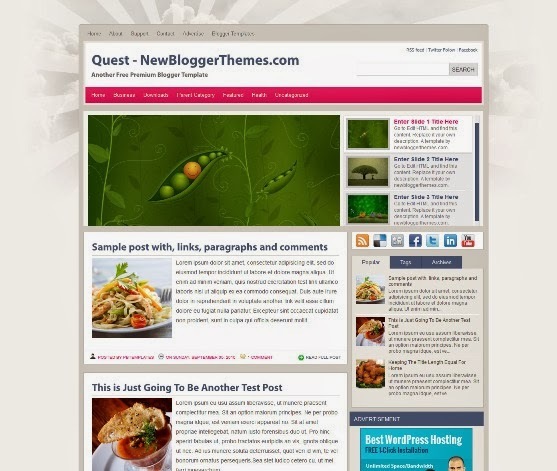 Quest is a free blogger template for Magazine. 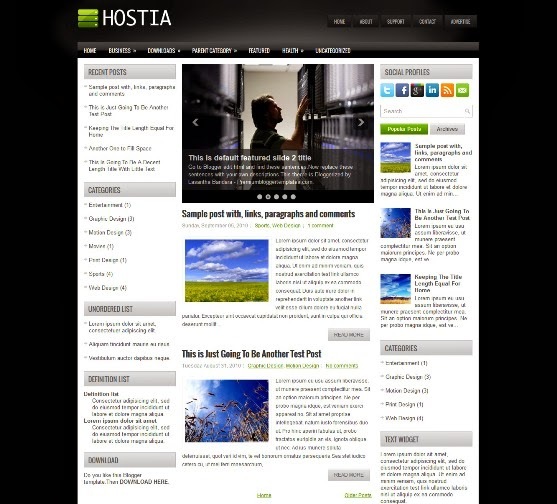 2 Sidebar, 3 Column, 3 Column footer, Adapted from WordPress, Black, Elegant, Featured Section, Fixed width, Green, Grey, Left Sidebar, Magazine, Premium, Right Sidebar, Slider, Tabbed widget, Top Navigation Bar, Web 2.0, White. 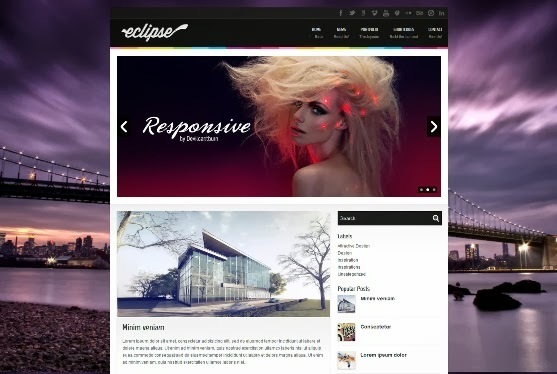 Eclipse is a free blogger template. Template features : WordPress Look, 2 Columns, 4 Columns Footer, Right Sidebar, Featured Content Slider, Fixed Width, Social Widget, Dropdown Menu. 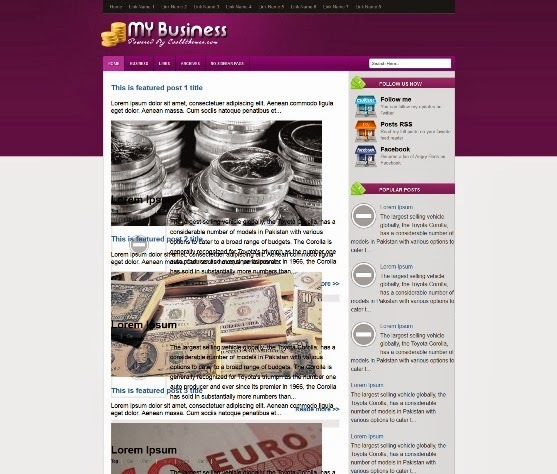 My Business Blogger Template Is a Free Premium Style Blogger Template, Its Good For Your Finance, Marketing, Tech Bloggs, Its Have 2 Colman, Top Menu Links and Cool Search Box. 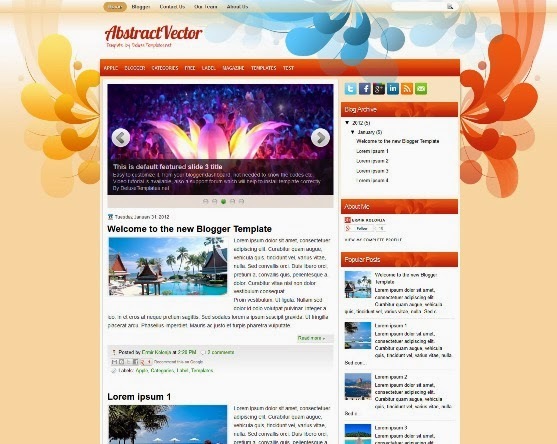 Abstract Vector is personal Blogger template. This theme has 2 columns and 3 other columns in footer, lot of place to put your widgets. The simplicity is very obvious at the first look you give at this template. Widgetly is a magazine blogger template for news blog or any web journal & much more The theme have 3 columns layout post widget content and advertising. It’s fully responsive design ready to any device. 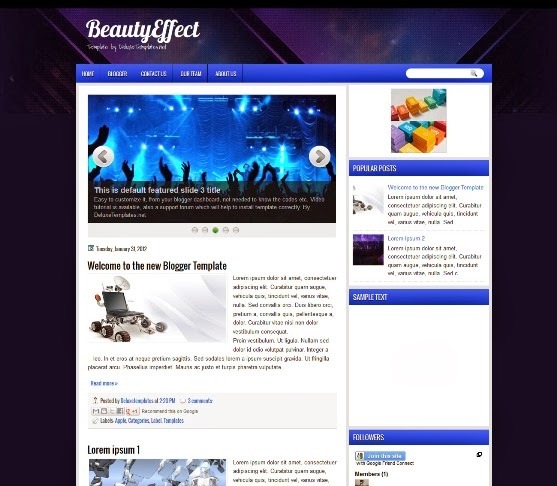 BeautyEffect Blogger Template is a 2 column clean music related blogger template. its 1 right sidebar and no column footer area.header area design as a simple 2 column blog. this theme design for music related blogger blog’s. if you have any blog about music.